NOW that Jesus Dureza is no longer the government’s chief peace adviser, a church leader is worried that the peace negotiations will take a wrong turn and the efforts that all stakeholders have been working hard for will be undermined. Sowing the Seeds of Peace main convener and Iglesia Filipina Independiente (IFI) Bishop Felixberto Calang said Dureza was instrumental in sustaining the peace talks that reached the fifth round and that his resignation was a loss to the people behind the negotiations. Dureza stepped down as head of the Office of the Presidential Adviser on the Peace Process (OPAPP) on November 27 following his admittance of alleged corruption reportedly committed by two of his subordinates in relation to the implementation of the “Payapa at Masaganang Pamayanan” (PAMANA). PAMANA is the national government’s peace and development framework designed to respond and strengthen peace-building, reconstruction and development in conflict-affected areas. OPAPP oversees the implementation of this program. 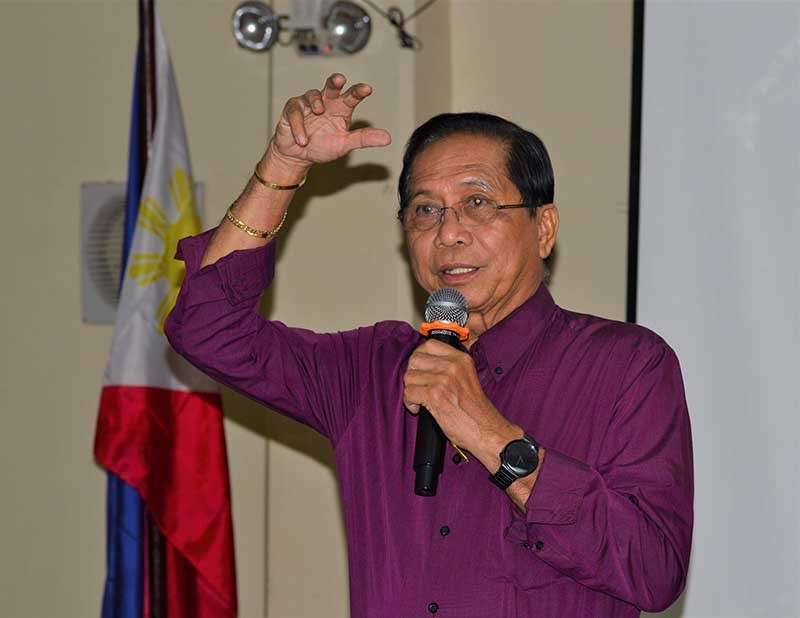 “He [Dureza] was instrumental in leading the peace talks up to the [fifth] round,” Calang said, referring to the series of negotiations conducted by the Philippine government and the National Democratic Front of the Philippines (NDFP) in some parts of Europe in 2016 and early last year. When President Rodrigo Duterte assumed office in 2016, resuming the talks was on his priority list, even ordering Dureza to set the table for negotiations a few weeks into his presidency. But on November 23, 2017, Duterte signed Proclamation No. 360, formally terminating the peace negotiations with the rebels, citing the continued fighting and attacks made the New People’s Army (NPA), the armed wing of the NDFP, against the security forces. With Dureza gone as the government’s chief peace adviser, Calang said they are worried that the negotiations might take a wrong turn and destroy everything that both sides of the negotiating table as well as the third-party facilitators and other entities involved in the peace process have built over the years. “We also find that [Dureza] as a civilian voice in the peace talks was gradually marginalized by the increasing militarism from outside the panel. The shadow peace panel of the security sector has been looming large over the negotiations,” he noted. “We fear that replacing Secretary Dureza with someone from the security sector will throw out the essence of the peace negotiations. It will transform the peace talks into a sounding board for surrender rather than a process of dialogue to commonly address the roots of the armed conflict,” he said. Calang said they are apprehensive that the collateral damage of the resignation is the sound, rational, and people-center perspective. “Even as the [government of the Republic of the Philippines] principal, President Duterte, was closing the doors on the talks, Secretary Dureza prodded for the sustaining of the talks,” he said. The motive for the president’s acceptance of Dureza’s resignation and his consequent replacement, Calang said, must have been greater than Duterte and Dureza’s close personal relationship which is important in a negotiation where the peace adviser is virtually the alter ego of the principal. Presidential spokesperson Salvador Panelo, in a statement, said Duterte “has accepted, with deep regrets” Dureza’s resignation. Panelo said Malacanang commended Dureza for taking full responsibility and issuing an apology under the principle of command responsibility for the transgressions committed by his two subordinates.